One constant amongst most of the reviews of Batman v Superman: Dawn of Justice earlier this year was their praise of Wonder Woman’s appearance in the film. 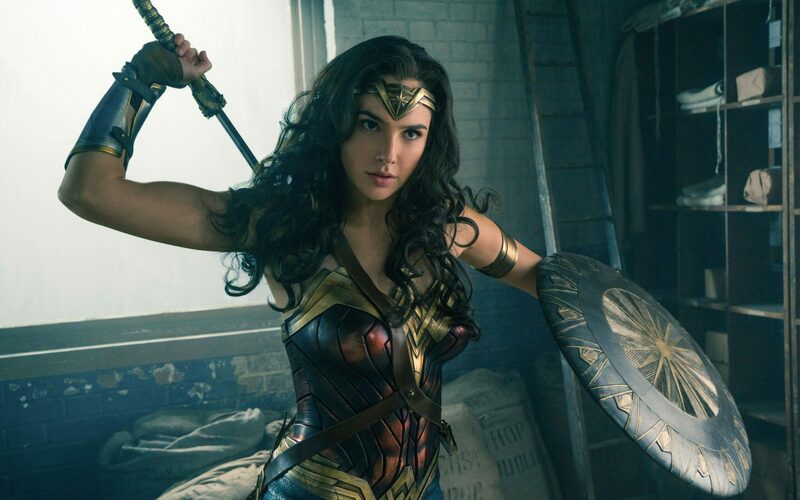 Positive and negative reviews – there were certainly more of the latter – all seemed to point to Gal Gadot as Wonder Woman and the playful, catchy theme that composer Hans Zimmer gave her being the highlight of Warner Bros.’s latest DC feature. The positive feelings towards the character – she was recently even announced as a UN ambassador – and the upcoming Wonder Woman film have been growing ever since her first appearance in March, and the marketing for the film has generally been met with a great deal more positivity in the film blogging world than other DC properties – marketing for the aforementioned Bats versus Supes picture and Suicide Squad seemed to generally be approached with much more caution. Wonder Woman hasn’t been immune to criticism though, and an open letter to Warner Bros. CEO Kevin Tsujihara published at Pajiba, which was allegedly from someone inside Warner Bros., stated that the film was a “mess”. Something which director Patty Jenkins strongly denied. This week we have exclusively learnt that whilst the film wrapped in May, the cast and crew are heading back for reshoots in around two weeks’ time. This week we have exclusively learnt that whilst the film wrapped in May, the cast and crew are heading back for reshoots in around two weeks’ time. It’s unclear yet as to whether these reshoots were pre-scheduled or have been newly planned, and we’ve not yet been able to ascertain how significant they will be, but they are happening. Unsurprisingly, reshoots will be taking place in the UK, at Leavesden, where a castle and period buildings were constructed for the original shoot. There are many ways of looking at this news, of course. Reshoots are not uncommon and are frequently used to successfully improve films – a few of The Force Awakens‘ best moments, for instance, were famously from reshoots – and so they don’t necessarily spell out disaster and are often actually a good sign. A studio is keen to spend money on their upcoming film to make it even better than it already is. Reshoots can, of course, also be seen as something of a sign that a studio is flailing and struggling to fix something that’s horribly broken. Whilst this latter narrative is the one that tends to dominate, it’s rarely what is actually going on. Although sometimes this is indeed the case. For many this news will no doubt be clouded by all the bad press that Warner Bros. keeps getting about the DC films – the above open letter and the fact that Rick Famuyiwa recently became the second director to drop out of a DC movie, after Michelle MacLaren’s exit from Wonder Woman last year, for instance – but it is worth restating that reshoots are a very common part of big budget filmmaking and not necessarily a sign of anything sinister. Wonder Woman is currently scheduled for release in June next year. More on the reshoots and Wonder Woman in general, as we get it. This entry was posted in News and tagged Action, Adventure, Fantasy on November 5, 2016 by Craig Skinner. Famuyiwa Would actually be the third director to leave as Seth Gramme-Smith was originally attached to direct Flash before him. Castle and period buildings were not built for Wonder Woman. That was evident long ago with a trailer of Fantastic Beasts.